Here's some motivation for today and the week. Over the weekend, “Jerry Maguire” was on the Esquire Channel and I’ll admit that I watched it (for the 36th time). Great movie even as it’s very nineties and incredibly corny at various points ("You had me at hello"). I've also randomly included here a photo of Steve Prefontaine, who I've always admired. I think a lot about Pre and I've started telling my son about him. My son has started running and last weekend finished his first race, a 5K sponsored by his school district. As far as we can tell, he finished first among all kids his age. I can't tell you how proud I am of him--but not because of where he finished. I'm proud of how composed he kept himself during the race; he was tough, resolved and determined. Most importantly, he had fun. Anyway, the video and Pre's legacy really hit on a larger point: Attitude is key. I need to keep reminding myself of that because I can sometimes complain too damned much. My Javelina Jundred training ended on a really good note. Before I forget, let me just say that the Coury brothers (who operate Aravaipa Running, which owns and puts on Javelina) seem to have this race dialed. The pre-race communications have been stellar. I’m really excited about the whole experience, though, as with any 100, I’m dealing with pre-race jitters. 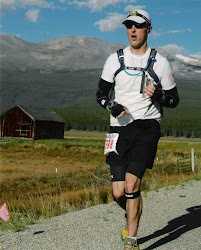 Before the three-week taper kicked in, I had a couple of back-to-back 85-mile weeks and finished fourth overall at the Xterra Trail Marathon at Cheyenne Mountain State Park in Colorado Springs without really expending too much effort. Granted, Xterra was a small race with a tiny field but I’ll take fourth any day of the week—especially when the three runners ahead of me were all 30 or younger. It was a hot day and all that was available on the course, which had over 3,400 feet of climbing, was sports drink and water. It was nonetheless great training, and I finished the race with plenty in the tank. Except for sore shins from the rocky trail, I woke up the next day feeling 100%. I’m really glad I took up weight training after my failure at Bighorn. I feel better and I’ve noticed that my speed has improved. It occurred to me that after a 100 when I’m always sore from head to toe, it’s because running for that long requires energy from just about every muscle in the body. Around age 40, you start to lose muscle—that’s when resistance training becomes really important. So whether it’s a full-body workout in the gym, core work, or pushups, I’m hitting the resistance training on a consistent basis and it’s paying off in how I feel (my wife has also been at it with resistance training and she swears by its effects, too). I think it’ll all pay off at Javelina, but who really knows? I think with Javelina, like with Leadville, there’s more than meets the eye. Although the two courses are very different, both of them bring potentially crushing elements that don’t show up on paper or in course profiles. With Javelina, you have heat and a course that people see as “flat,” which then goads them into going out too fast. Over the weekend, I saw this post on the Javelina Facebook page and I think the author really nailed it. In a nutshell: Go out at a conservative pace, respect the distance from the get-go, and stay hydrated and cool, especially during the heat of the day. One of the things I like most about Javelina is its simplicity. You run a bunch of loops and there are two areas where you can have “don’t-drop” bags. While there is a notable change in the temperature after sunset, it’s not so dramatic that you have to pack a ton of stuff to stay warm (like at Leadville). Basically, it comes down to a change of shoes, a few pairs of extra socks, some layers, some simple first-aid supplies, and a few headlamps. Based on what I’ve read in pre-race communications, it sounds like the race will have a ton of great stuff on the course. Final few thoughts: I’m deeply saddened by the news of Marathon & Beyond’s announcement to close as a result of declining subscribership. 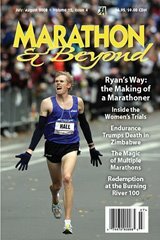 I’ve subscribed to M&B for ten years (maybe 11) and was once published in it for my 2007 Burning River 100 race. The editor, Rich Benyo, has provided a great service to the running community for decades. That includes Rich’s outstanding book, “The Death Valley 300.” With its in-depth articles and scholarly analysis, which apparently interests fewer and fewer people in this age of social media, I guess M&B just couldn’t make a go of it after 19 years of putting out arguably the highest-quality content of any running publication. So, this is really sad. But, this I will say: As a long-time subscriber, I think there are things M&B could have done to stay relevant and fresh, like beefing up its digital presence. That’s just a reality these days. With the Javelina Jundred now a month away, my training is going well. While my overall mileage hasn't been quite as high as I'd like (my ideal comfort zone has always been 90-105 miles a week but I don't have time for that anymore), I'm feeling good and my confidence is in a good place. Based on the course profile, Javelina delivers what I like in an ultra. It's all runnable and has just ~6,000 feet of vertical gain. I'm not a hiker. I don't particularly like hiking in races. 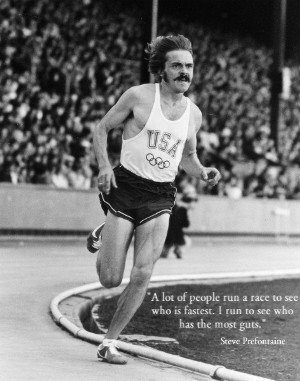 I like to run. So, in that regard, Javelina is right up my alley. And yet it's far from easy! Last year, less than half of starters finished--probably due to the heat and poor pacing. Javelina Jundred from Project Talaria on Vimeo. One thing about Javelina that does get my attention is the potential for hot, dry weather. Situated in the Arizona desert, the course offers no shade. Fortunately, with a full summer behind me, I should be decently heat-trained. The keys will be to pace it well and stay cool and hydrated--all things that are firmly in my control. I have a few races coming up, including the Xterra Trail Marathon in Cheyenne Mountain State Park and a 5K on the road, that will take me right into my Javelina taper. 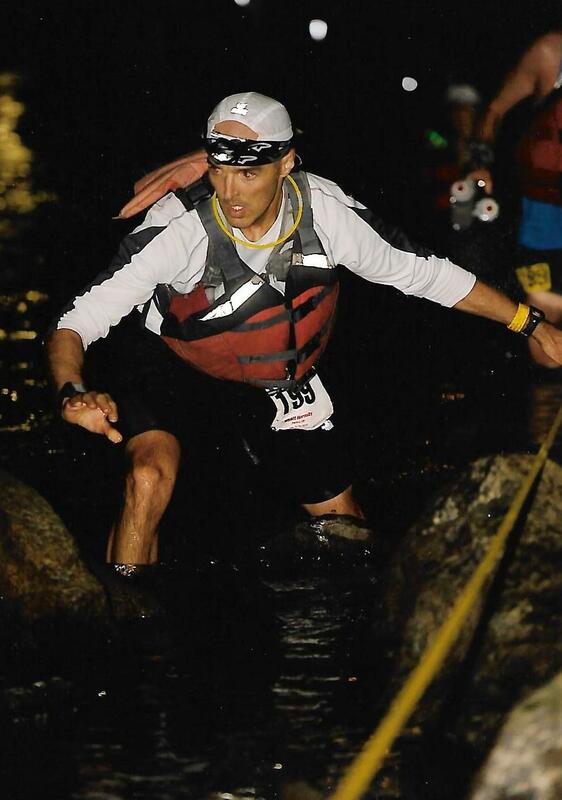 The Xterra race will be a training run and will come with zero taper. Last Sunday, I lined up for the Hot to Trot 10K race in Pueblo, Colorado, which is about 100 miles south of where we live. I was down in Pueblo for work as my employer, Delta Dental of Colorado, once again sponsored the annual Chile & Frijoles Festival, where tens of thousands of people enjoy a fun three-day street party of sorts. I figured that while I was there I might as well run in their 10K race, which I saw in action last year and regretted not entering. This was to be my first-ever 10K, which is hard to believe as I've run in almost 75 races in my life. Based on the 2014 results, I knew there was a shot that I could break the tape in this year's 10K. 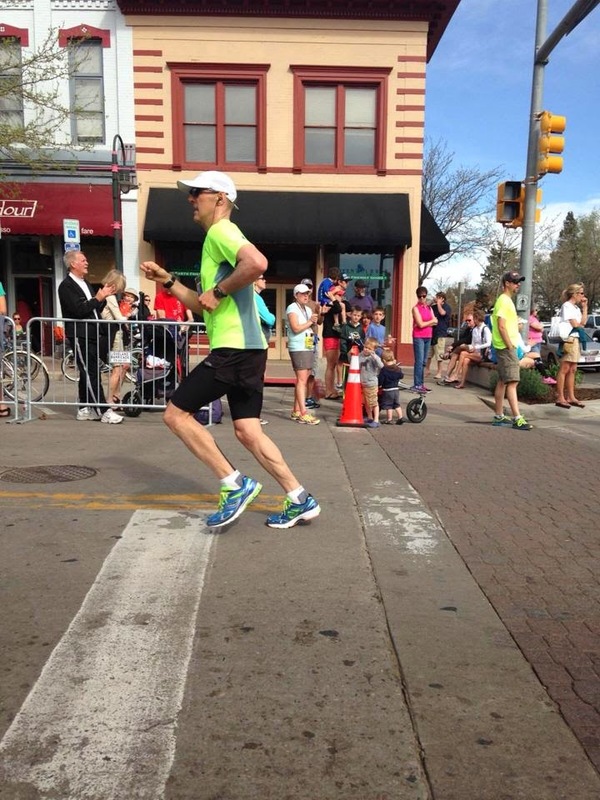 But then when we lined up on Sunday morning in downtown Pueblo, I noticed a few fast, young guys around me. Turns out they had entered the 5K. Once the 5K and 10K split off, I found myself in the front. I hadn't found myself in the front of a race in a long time. A really nice guy on a bike led me out to the turnaround on the path they have along the river, allowing me to see who was behind once I zipped around the cone. I was reminded of how stressful it is to be in the lead of a race. Not that it happens much with me (hadn't happened since 2009), but it's stressful. That said, I had every intention of winning this thing! 1) They had just one aid station and all it had was...water. I like that. 2) At no point in the race did they offer bacon, sports drinks, Big Macs and other items now offered at ultras to athletes who have become entirely too spoiled. 3) It started with "ready, set, go!" 4) It was perfectly marked. After the race, I got to thinking about my time. Five or six years ago, I thought, my time would have been 2-3 minutes faster. While that may potentially be true, it's also true that Pueblo is at about 4,700 feet. So, I figure at sea level I might be 30-60 seconds faster. I would love to enter a sea level 10K and find out for sure! I really like the 10K distance. The 10K pushes you into the pain cave. You can run it super hard and then wake up the next day with minimal soreness. I think one of the bad habits ulrarunners can develop is not going into the pain cave enough. Ultras, while really hard, usually require lower intensities. I think it's a good idea, at least for me, to rev up the engine now and then and taste blood. It keeps the knife sharp (nothing like mixing metaphors).